Donald Trump’s administration regularly increases military presence in Central Europe. The currently discussed idea is to create an American permanent military base in Poland, that is to say, a further shift of the US military presence towards the Russian border. The question arises whether, through the constant presence of the US Army in Poland, Donald Trump wants to improve the defense of the Old Continent or strives to play against each other the interests of individual members of the European Union. The weaker Europe is, the stronger is the United States. Although the idea of American permanent military presence in Central Europe is not new, it gained much publicity after the September meeting at the White House between Polish President Andrzej Duda and Donald Trump. Warsaw suggested not only building a base but also a name for it: Fort Trump. After initial doubts, Washington, noting the benefits which it might derive, accepted this proposal.1)Poland may not be ready for ‘Fort Trump’: US Army head, France24 2018-09-19.That’s why a few days later, Secretary of Defense Jim Mattis reported that certain areas are already being evaluated whether they are suitable for this purpose.2)Pentagon examining land in Poland after offer of ‘Fort Trump’ base, The Washington Examiner 2018-09-24.Leaving aside the issue of allegedly improving the security of NATO’s eastern flank, there is more to see than meets the eye in the permanent presence of Americans in Poland. Warsaw perceives the United States as an ally in an ongoing dispute with the EU. Relations between Brussels and Washington have also deteriorated. Therefore, by relocating its troops to the east, the United States would be putting pressure on Germany to increase defense spending, import US LNG or veto Nord Stream II. The mere construction of an American fort means not only the creation of military facilities, but also founding a small town in which there would be kindergartens, schools, clinics, hospitals, cinemas and shops. President Duda said that the cost of launching Fort Trump, which is estimated at USD 2 billion, would be covered by Poland. By way of comparison: the stay of American soldiers in Europe is a burden of 2.5 billion dollars annually.3)Do European allies pay U.S. $2.5 billion yearly to keep troops there?, PolitiFact 2018-07-12.That’s a lot. From Poland’s point of view, it would be more reasonable to put this money in military equipment and training. Or one could buy 230 tanks M1A2 or 20 aircraft F-35 or 33 F-16, or build 3 submarines. Throughout the Cold War until 1993, Soviet (towards the end of the period: Russian) troops were stationed in Poland, and their task was to counterbalance the American presence in Germany as well as secure Moscow’s interests. The burden of building military facilities and their partial maintenance was borne by Poland. Although membership in the Warsaw Pact was to be eternal, as a result of political changes on the international arena within a few years Poland joined NATO. Relocating American units permanently to Poland does not increase the latter’s security, which can be provided by the already existing rotational presence of US Army soldiers.4)Poland welcomes thousands of US troops in NATO show of force, CNN 2017-01-14.The idea of establishing Fort Trump picked up by Washington is much more beneficial to the United States than to Warsaw because the military outpost extended even further to the east gives Washington a greater opportunity of influencing the countries that are located close to it. Moreover, since Washington is considering such an investment in Poland, the significance of German bases is decreasing (see below). Following the same line of thought, in a few years’ time a proposal may be put forward to establish a base in one of the Baltic States, which will then cause Fort Trump to lose its present strategic character. It also shows that investing in building a base for the United States is associated with advancing American interests alone. The United States has almost 35 thousand soldiers in Germany, which is about half of all American forces on the Old Continent. The US Army was stationed in West Germany in the advent of the Cold War and was part of the strategy of deterring the Soviet Union. Until the early 1990s, there were around 200,000 American soldiers. In 2014, the number was down to 42 thousand stationed in 38 localities. Stuttgart is host to the European command of the US armed forces, while the Rhineland accommodates the largest air base on the continent. The Germans have become accustomed to the US military presence. As a result they do not attach much importance to military investment or take the trouble to increase the defense sector in the budget to 2% of GDP, as prescribed by NATO. This is not to Washington’s liking. Trump has repeatedly stated that the United States provides Germany with protection, and Berlin does not bear the necessary expenses for this objective,5)Trump demands Germany pay for US protection, Stars and Stripes, 2017-03-18.which also sparked a dispute over financial support for American infrastructure in Germany.6)Germans irked by demands for financial support for US bases, Stars and Stripes, 2017-02-02.The American administration tried to influence Berlin, threatening to withdraw a large part of its soldiers.7)U.S. assessing cost of keeping troops in Germany as Trump battles with Europe, The Washington Post 2018-06-29.The creation of Fort Trump would cause the transfer of part of the US Army to Poland. This would mean a decline in Germany’s significance, which will cease to be the easternmost outpost of the US Army to be deployed in Europe. This will force German decision-makers to make more intensified military investments than those which Trump demands in order to fill the ‘military void’ after the US troops. It can be expected that Berlin will try to block the idea of creating military facilities in Poland, wanting to keep the US troops at home. Donald Trump’s administration considering the idea of building a base in Poland has also another purpose. Washington wants to influence Berlin to give up on the Nord Stream II project and at the same time increase LNG imports from the United States. Given the geopolitical issues, the line separating the interests of the West and Russia no longer runs along the German western border, but has shifted to the east. The importance of American bases in this country is not as big as before 1999, when Germany was a NATO borderland. Therefore, the Americans will not decide to increase expenses in order to keep the army in a new European facility, and they will move some of their equipment and army to new locations eastwards across the Oder. The shift of the permanent American presence to the east, closer to the Russian border, certainly will not meet with Moscow’s approval. We expect the Kremlin to respond by increasing its military presence in the Kaliningrad region and also in Belarus, which will make the Central and Eastern European countries demand even greater strengthening of NATO’s eastern flank. This will trigger the spiral of arms race and arouse mutual suspicions. The goal of the United States is for the EU to recognize Russia as an enemy. 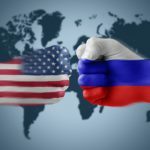 The acceptance of American rhetoric by Paris, Berlin, Warsaw and other capitals deteriorates the relations between the Kremlin and the West. This in turn will facilitate an increase in American exports of energy, military technology and other goods to the Old Continent. The result is that Brussels focuses on imaginary problems, while it should focus on the clashes in mass immigration and demographic questions. The United States is trying to build a partnership against Russia’s “aggressive behavior”,8)Polen will möglichen neuen US-Stützpunkt nach Trump benennen, Die Welt 2018-09-19.in order to really increase its presence in Central Europe. Countries like Poland are Trump’s bargaining chip in negotiations with Germany and Russia. Washington is driving a wedge between the countries concerned. This, on the other hand, helps realize American goals at the expense of the Old Continent. 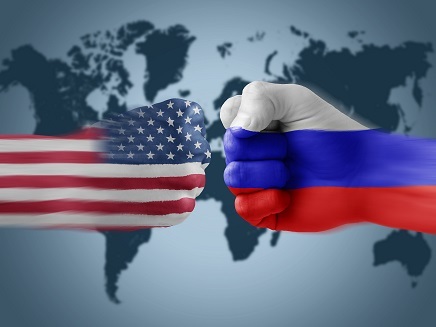 Omnipresent bidding for sanctions and further shifting of the Americans to the east deepens the economic-political contrast between the mentioned countries, which may lead to a new cold war. 1. ↑ Poland may not be ready for ‘Fort Trump’: US Army head, France24 2018-09-19. 2. ↑ Pentagon examining land in Poland after offer of ‘Fort Trump’ base, The Washington Examiner 2018-09-24. 3. ↑ Do European allies pay U.S. $2.5 billion yearly to keep troops there?, PolitiFact 2018-07-12. 4. ↑ Poland welcomes thousands of US troops in NATO show of force, CNN 2017-01-14. 5. ↑ Trump demands Germany pay for US protection, Stars and Stripes, 2017-03-18. 6. ↑ Germans irked by demands for financial support for US bases, Stars and Stripes, 2017-02-02. 7. ↑ U.S. assessing cost of keeping troops in Germany as Trump battles with Europe, The Washington Post 2018-06-29. 8. ↑ Polen will möglichen neuen US-Stützpunkt nach Trump benennen, Die Welt 2018-09-19. Next: Do Erdoğan and Merkel need Kurds?